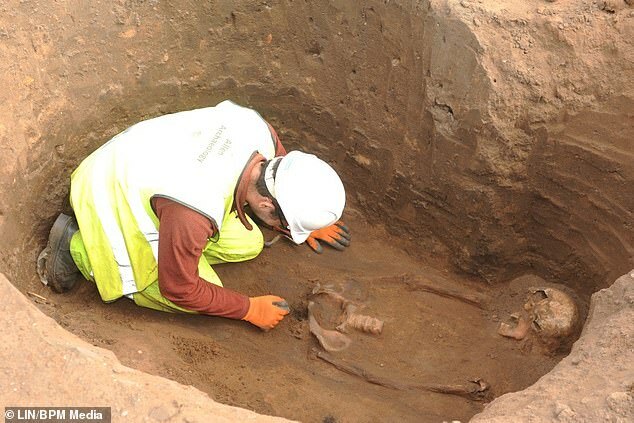 Archaeologists have found the remains of 60 human burials at the site of a Roman cemetery in Lincolnshire. 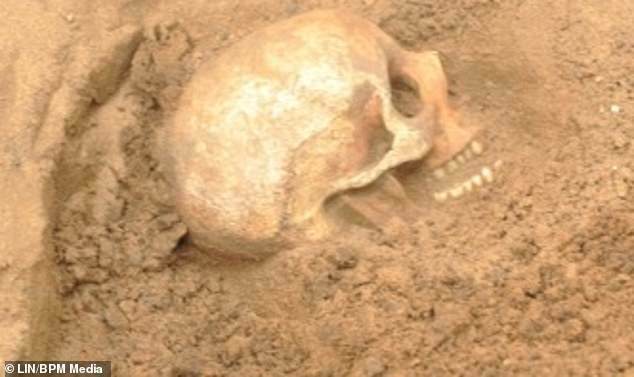 Men, women and children have been discovered and one grave even included a leg of lamb for the deceased to take with them to the afterlife. 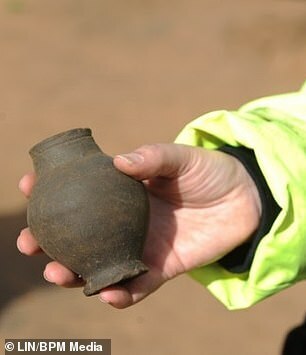 Grave goods found by Lincoln-based Allen Archaeology also include pots, bracelets and bangles. The burials are believed to date from the second to the fourth century AD and some were in coffins and others wrapped in shrouds. It was Roman tradition to place burial grounds outside of towns and villages to avoid pollution. This was where the Roman Road between London and Lincoln, Ermine Street, ended. Travellers in Roman times would have crossed the river at low tide or by ferry to Brough for the road to York and as far north as Hadrian's Wall. 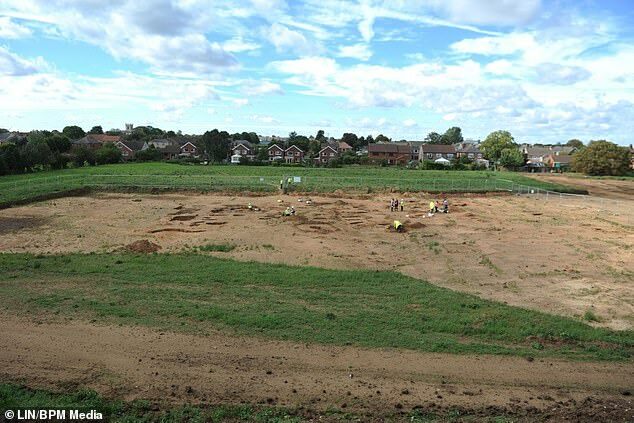 The cemetery site is set to be developed as 135 homes by house-builder Keigar Homes, pending planning permission. 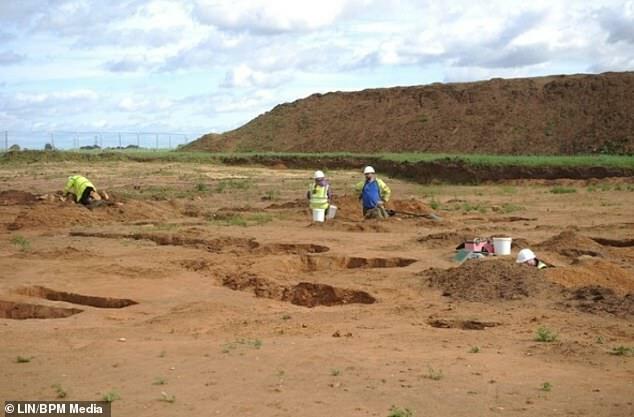 Natasha Powers, senior manager at Allen Archaeology, said: 'In the previous phases of work, we did the geophysical survey and a trench evaluation in 2014/15. 'We could not tell the extent of the cemetery. We found it seemed larger than we expected. 'We know some of the burials were in coffins. 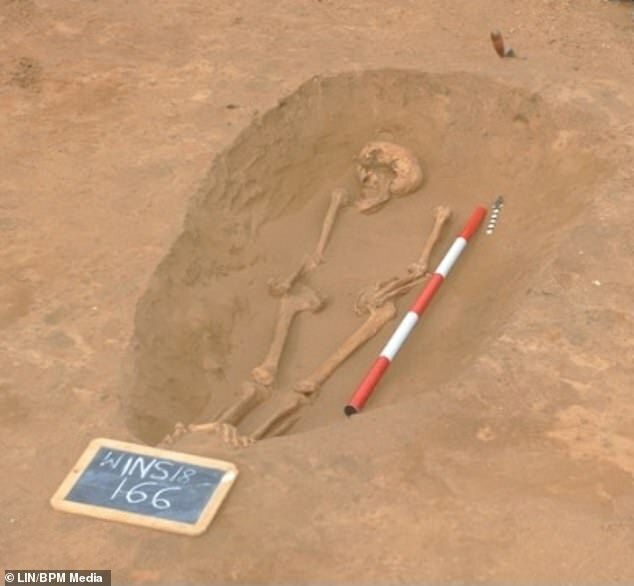 One of the skeletons was buried with a whole leg of lamb. 'We have men, women and children out of these graves. We have found a little pot and some bracelets and bangles. We have two different types of burial rites - a lot of substantial coffin burials and people in shrouds. 'Does this represent different dates, personal choice or different groups of people? We think it is date-related as the rites have changed. The team will be on site for a few more weeks. 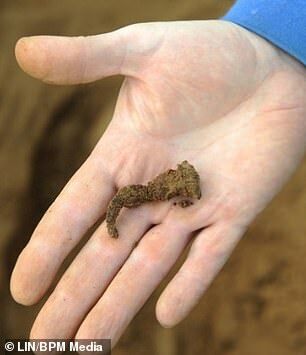 Finds will be fully analysed and a report produced.